Julien, 24 years old in 2005, learned Sahaja Yoga meditation in a Dutch jail. He says it was an opportunity to know better himself. I am a young boy 24 years old . 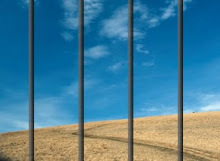 I am now in jail in Holland. I am not going to tell you here for which reason I was brought between these walls, that’s not the point. It’s happening to everybody in our life to look for deeper things than the modern Society can afford us ; to have questions on our place in the World ; on the meaning of our life ; on the mysteries of the Creation ...etc. During a long time, I unconsciously pushed back these questions , repressed my sensations, I was neither listening myself , and nor the others too. In a time of my life full of doubts and incertitude, I was like sucked up as far as this kind of very particular residence which is the prison. At the beginning and during many months, it was like if the Sky had fallen down on my head. Then, I crossed on my way a guard and his wife who are responsible of a group of meditation inside the jail. I interested myself to this course. It was then an upheaval in my life : from that point, I was born a second time. Also, I started to learn to know myself, to become myself, to undertake an inside travel. The faith which was sleeping in me since ever awake itself , my convictions became bigger. Every day, I was becoming more sure of what I was believing in. 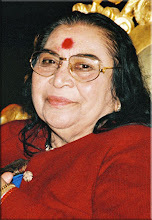 In fact, I understood that the jail had been for me a gift from God ; and then an opportunity to meet the whole compassion of Shri Mataji through Sahaja Yoga. To-day, being still inexperienced , I am trying to grow up , to build myself . I am moving forward on the way of the Life. Also, the pain of having lost freedom made way for a great joy in me because even if this place of meditation is narrow, it contains the Unlimited.